Being one of the world's leading smart card reader suppliers, and the Company has succeeded in expanding its End-to-End solution market in recent years. After the introduction of HNA Technology Group Co., Ltd. (HNA Technology Group), a PRC -based company focusing on investment and innovation on technology, the Company would like to develop and engage in the business of investment in and asset management of technology related business. We are committed to building the Company into HNA Technology Group's listing flagship of technology in Hong Kong. The Company was listed in Forbes Asia's 'Best Under a Billion" list, an inter-industry list comprised of 200 top-performing publicly listed companies in the Asia-Pacific, with sales between US$5 million and US$1 billion in 2010, 2014 and 2015. Advanced Card Systems Limited is a wholly owned subsidiary of the Company, ACS is Asia Pacific's top supplier and one of the world's top 3 suppliers of PC-linked smart card readers. ACS is the winner of the Product Quality Leadership Award for Smart Card Readers from Frost & Sullivan. Visit http://www.acs.com.hk for more information about ACS. Founded in December 2016, HNA Technology Group is a strategic mega operation holding group for future development of HNA Group Co., Ltd.(HNA Group), a Fortune Global 500 conglomerate. Relying on the rich operations mix of HNA Group, providing high value -added solutions and products to customers and business partners, HNA Technology Group is committed to becoming the top-tier high-tech holding group. Supported by its well-established businesses and ample resources, HNA Technology Group strives to build a sharing and eco- platform for traffic, logistics, capital flow and information, through operations of, and investment and innovation in cloud computing, big data, artificial intelligence and other aspects. HNA Technology Group boasts total assets of over RMB200 billion and rakes in over RMB330 billion in annual revenue. HNA Technology Group's operations span over 160 countries in 6 continents, controlling over 40 enterprises from different industries. HNA Technology Group has over 70,000 employees across the world , among them over 60,000 are based overseas and 25,000 are from its research and development team. 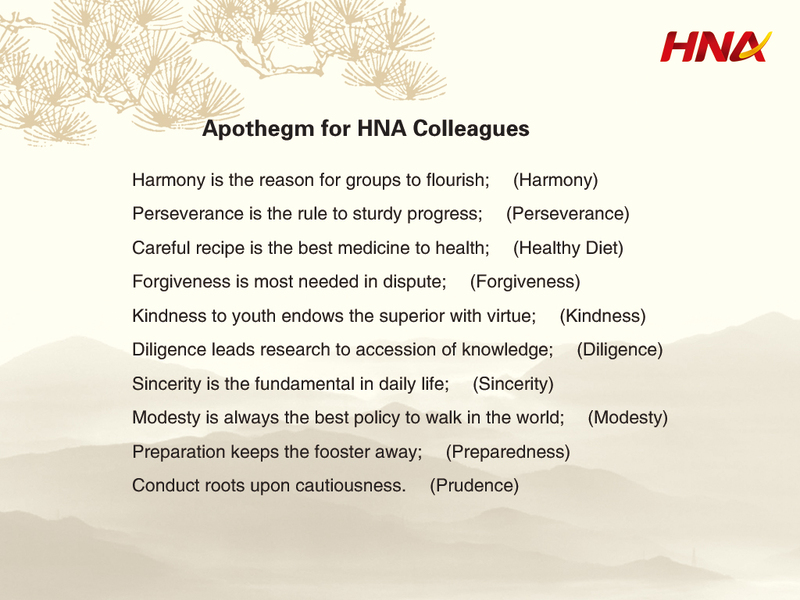 Visit http://www.hnagroup.com/en-us/what-we-do/tech/ for more information about HNA Technology Group. HNA Technology Investments Holdings Ltd. © 2019. All Rights Reserved.